The building of Indy Eleven’s 2016 roster picked up more momentum on Tuesday with the transfer acquisitions of forward Justin Braun and defender Nemanja VukoviÄ‡ from 2014 USL Champion Sacramento Republic FC. Today’s announcement brings Indy Eleven’s roster up to 18 confirmed players in advance of the 2016 season, which will be augmented with more new veteran additions in the coming days. 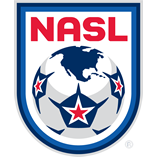 The addition of VukoviÄ‡, a native of Montenegro, means four of the club’s seven international roster slots allotted by the NASL have been filled alongside Dragan Stojkov, Eamon Zayed, and Colin Falvey. “Justin Braun is a striker that can serve as a target and bring our attacking midfielders forward," Indy Eleven head coach Tim Hankinson said. "He’ll get his goals but is also capable of coming in from a wing position, so his versatility will be very valuable. Braun is entering the ninth season of his professional career, which kicked off in 2008 with a six-year run in Major League Soccer with Chivas USA, Montreal Impact, Real Salt Lake, and Toronto FC. After notching 27 goals and 15 assists across 135 regular season and postseason games in MLS, the Salt Lake City native joined his former Chivas USA coach Preki in 2014 as one of the first signings with Sacramento Republic FC, and was named the budding USL powerhouse’s captain for both of its first two years. The 28-year-old striker scored 14 goals and tallied one assist during 49 appearances in official competitions with SRFC across 2014-15. “I am very excited to join Indy Eleven and play in front of the best fans in the NASL," Braun said. "I have heard so many good things about the club and city, and the supporters seem to be very passionate. As a player those are the type of fans you want to play for. 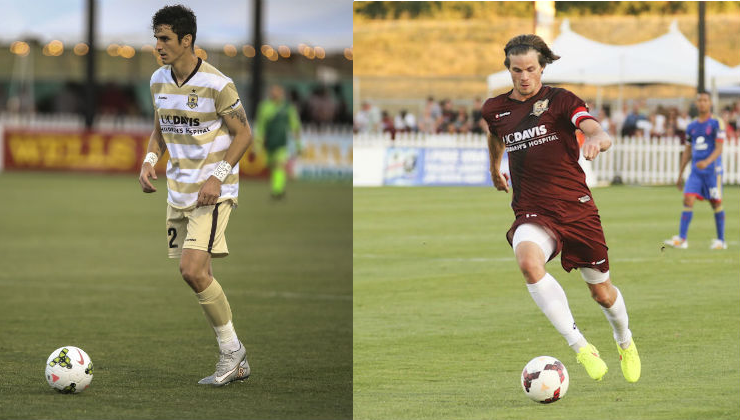 Like Braun, the 31-year-old VukoviÄ‡ was one of Sacramento Republic FC’s earliest signings leading up to their 2014 inaugural season and played in the squad’s USL PRO Championship triumph over Harrisburg City Islanders that fall. VukoviÄ‡ contributed five goals and three assists from the back line during his 65 games across all competitions with Sacramento and was named the 2014 USL PRO Defender of the Year and a 2014 All USL PRO First Team selection. Prior to joining SRFC, Vukovic spent part of the 2012 MLS season with Columbus, but logged most of the first decade of his career from 2003-2013 between clubs in the Montenegrin First and Second Leagues (FK Kom, FC BuduÄ‡nost Podgorica, OFK Grbalj, and Mladost Podgorica) and the Greek Super League (Panetolikos). "I am really excited about coming to Indy Eleven, especially alongside my friend and teammate in Justin," VukoviÄ‡ said. "Indy Eleven is a very well organized club with big ambitions and goals, which is why I accepted the invitation to join the team. The club has a good coach and Justin and I hope we can help him and our teammates achieve a championship title and repeat the success we had in Sacramento.